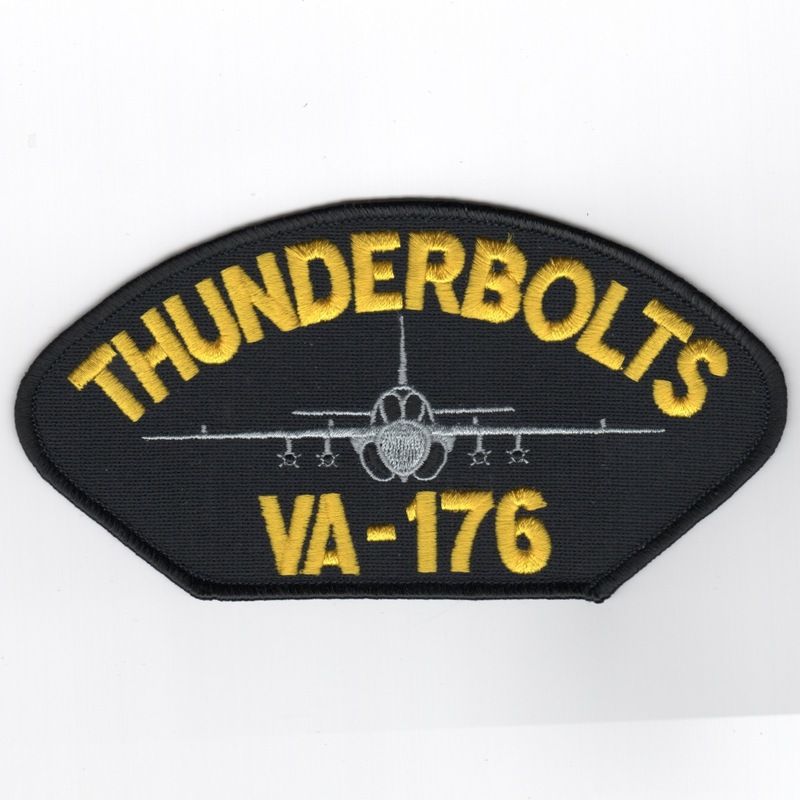 Attack Squadron 176 (VA-176), known as the "Thunderbolts", was a United States Navy carrier-based medium attack squadron that saw combat service in the Vietnam War and later in 1983 in both Grenada and Lebanon. 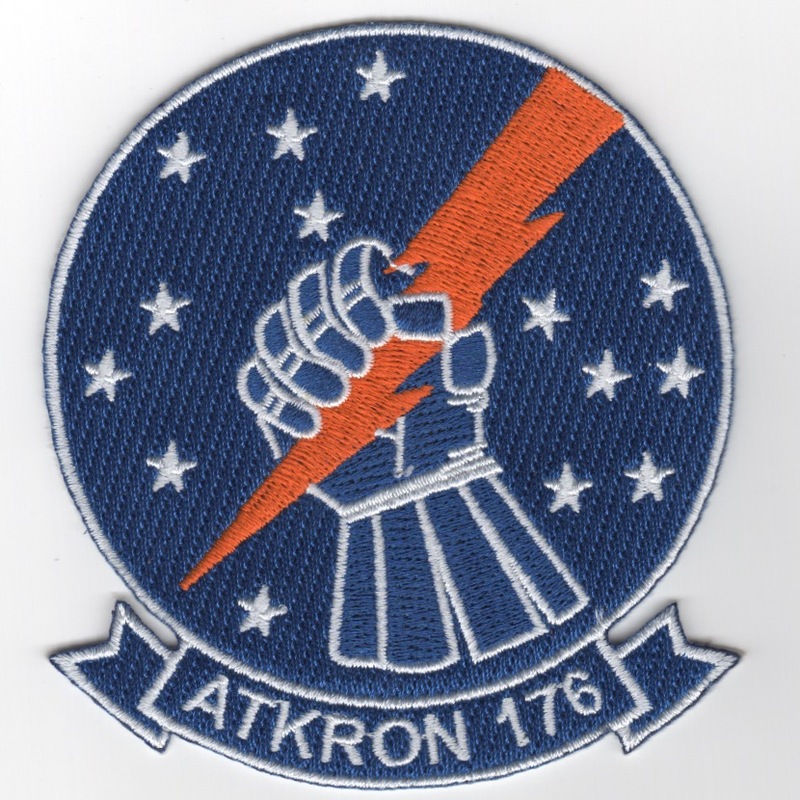 This is the blue version of the squadron patch that has 1-7-6 stars surrounding the "Fist" that holds the lightning bolt. It does not have velcro attached. Attack Squadron 176 (VA-176), known as the "Thunderbolts", was a United States Navy carrier-based medium attack squadron that saw combat service in the Vietnam War and later in 1983 in both Grenada and Lebanon. This is the cap that can be "heat-sealed" onto the front a ballcap, but can also be worn on jackets. It does not have velcro attached. Homepage | Order VA-155 Patches!